Parents that try to peel a child’s love away from an ex all have something in common: they view themselves as victims in the failed marriage or relationship. A parent who is going through a divorce or just went through one can either pick up the pieces, shoulder the hurt, and move on… or they can view themselves as an aggrieved party. The former tend to keep talk about the ex to a minimum, no matter what he or she did wrong or even maliciously. The latter, however, set the stage for hostile action against their ex which includes turning the child on him or her. Called “Parental Alienation Syndrome” by most professionals (I’ve never liked this term, as a lie that one parent is not worthy of love is abuse— not a “syndrome”). There is a direct correlation… the more a parent sees himself or herself as a victim, the greater the possibility that he or she will go after the child’s relationship with ex. And once they do, there is often no limit to their efforts. They will falsely accuse and malign everything associated with their ex, and will manipulate the child like a puppet. In short, they have little to no boundaries. They will spill anything damning– both truths and lies– into the child’s soul. So can you blame the child, who loves this parent unconditionally, for believing the messages being heard? High level brainwashers (parents actively campaigning to eliminate an ex from the child’s life) very frequently have a “You owe me” expectation once the child becomes an adult. How does this come about? In raising kids, these parents try to make themselves indispensable to the child, and have an entitlement mentality that eventually turns into “You owe me.” It’s completely unhealthy emotionally. Instead of turning to another adult for emotional support, this type of parent turns to the child, using him or her as an emotional confidant or spouse. That’s the unfortunate thing about high level alienators. Their inappropriate enmeshment with their own child doesn’t cease upon the child’s entering adulthood. Rather, it kicks into new gear, centered around guilting the child for expressing and acting on his or her natural desire for independence. To these parents, this is a threat of the highest level imaginable– not being needed. But what happens when the child, now an adult, resists such manipulation? Don’t underestimate the ability of a toxic, manipulative, brainwashing parent to wreak havoc on their adult children by playing the “You owe me” tactic. Bonus: Adulthood is usually the time where these children become closer to the non-alienating parent, no matter how much damage was done by the brainwasher. The truth eventually comes out– always– and the brainwashing boomerang goes into effect. 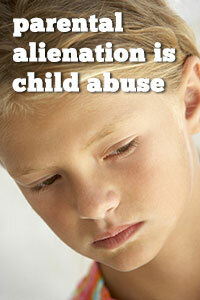 There are degradations of parental alienation. The most severe type is perpetrated by High Level Brainwashers (HLBs). These parents are ruthless in their efforts to eliminate their ex from the child’s life. They spend decades spinning tales of woe of what the ex did, labeling the ex every derogatory name imaginable, and doing everything possible to deny an ex physical access to “their” child. They abuse the child on other levels. HLBs frequently physically and/or sexually abuse children as well. In short, they have no boundaries. There is one final trait of the truly worst HLBs, and that’s the narcissistic parent. I didn’t include it in the list because only a sliver of the high level brainwashers are narcissistic. And these parents are the absolute worst abusers, and are true evil-doers at their core. They all lack a conscience. Read this article on the narcissistic parent. HLBs are professionals at wrecking parent-child relationships. They are masters at turning their perceived victimhood into manipulative lies intent on destroying their own child’s love for the other parent. This mental child abuse that causes lasting scars, even when the child does one day realize the fraud and lies perpetrated onto them. This is destructive to a child’s soul, as now they’ve stopped having a Mom or Dad to address (of course, that label will be used on the alienator’s new spouse if they have one). Since what kids label becomes their reality, over time this causes their feelings to become at minimum muted towards this “Justin” or “Christine.” Imagine calling your own mother “Christine” for years, and never muttering the words “Mommy…” do you think you’ll have the same feelings towards someone who’s not being labeled your mother? It’s yet another way of instilling false feelings in children, and it’s abusive. Another unfortunate effort by an alienating parent is to eliminate or modify the child’s last name. Of course, we’re talking wiping out or dropping the targeted parent’s last name. So Elizabeth Tracey Smith, whose father’s last name is Smith, is taught to stop using Smith and substitute the mother’s maiden name, Johnson, instead. Or John Paul Warren-Stevens, whose mother’s last name is Stevens, is taught to drop Stevens. Some parents even teach their children that once they’re 18 that they can legally drop the targeted person’s last name. In my case, my son’s name was modified by the judge to have two last names. When I brought a hearing before the judge showing that my son is being encouraged to not write his last name anywhere (with lots of evidence, including testimony and actual school homework and folders), unfortunately the judge (Judge Gary Coley in Waco, Texas) didn’t care about my concerns and ignored my pleas. So today my son, if his name were George Herbert Walker Bush, has an effective name of George Herbert Walker. My last name,”Bush“, has been eliminated from everything. 1. Do not allow your child to call you by your first name. You don’t allow him or her to use profanity, do you? No difference here. It’s profane to call your own parent by his or her first name. 2. Ensure that your child is using his or her legal last name at school and at sports activities. Speak to the teachers and principal and let them know that you’re concerned that your child is not writing his or her last name correctly. Do not go heavy on your child with the last tip, as they will just hunker down and resent you further. Use the school to enact the change… not the child. The following is a clip from the Dennis Prager Radio Show. Dennis talks about parental alienation, and plays for his views a powerful exchange between a woman and her daughter (from the TV show Desperate Housewives). The daughter doesn’t want to see her Dad as she’s being dropped off. However, her mother gets composed and gives an excellent example of how to talk to your child about an ex-spouse– even one she is angry at. This is a testament to the power of a parent’s words to their children. If a parent expresses encouragement about seeing the other parent, children naturally follow this lead (even if there has been some badmouthing up to that point). If every parent acted this way at exchanges, there would be a whole lot less abused children in the country. Mothers are generally quite nurturing, and the easiest way to melt their heart is through a child. Even the most jaded of mothers will smile when a child does something cute. A mother’s instinct is to care for, love, and protect children– even a child they don’t even know. However, there is a type of mother who is capable of displaying actual contempt and hatred towards a child (even one they claim they love). All children act out at times, some worse than others, but a normal mother is able to separate the behavior of the child from the child’s core. So a rambunctious, difficult 8-year-old boy, for example, is viewed by most mothers as being a typical boy, but his core is never, ever attacked. Nor is he maligned, denigrated, or otherwise put down. But mothers with a cold core conflate the annoying, frustrating, and perplexing actions of a child with the child’s worthiness as a human being. And mothers who are with a man who has a child from another woman will often take out any jealousy or contempt they have for that woman onto the child. Rather than viewing the child as an extension of the new man she’s with, it’s a constant reminder of the woman he was with before her. This is extremely common, but rarely talked about. An emotionally healthy mother will go out of her way to make children– all children– feel accepted in her world. She’ll even sometimes neglect her own kids’ needs to meet the needs of the new child of the family. If this is not happening, and she plays favorites with her children over her man’s from a previous relationship or marriage, that’s a serious problem. These mothers have rotten cores, and the damage they can do to a man’s children is not something to take lightly. To reject a child is to abuse a child. Mothers who are capable of having contempt for children on any level are also capable of other forms of abuse. In order to hold hard feelings towards a child, a mother is missing part of her conscience. And if that moral compass is impaired, they are capable of doing anything. Bottom line: this is the type of mother who can look at a child in pain and feel………….. nothing. 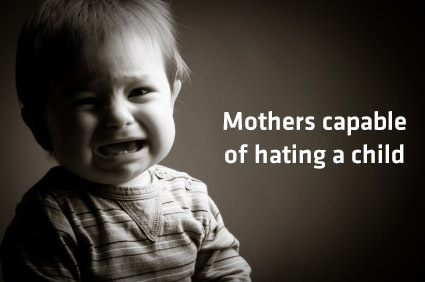 So why do some mothers have this cruel resentment towards our little ones? It’s simple. It’s a outward display of a mother’s own insecurities, which are based on the child’s birth mother (her man’s ex-wife or ex-girlfriend), and the relationship he had with her. And the easiest target for her to take out her hostility is his child. The thing that’s so sick about this is that a man didn’t even need to have had a good relationship with the ex. It’s the fact that he had one at all! Don’t underestimate how powerful of a driver jealousy can be in a mother’s life. While most mothers can put aside their unhealthy, negative thoughts and deal appropriately and lovingly with their man’s children, there’s a good amount of mothers out there who can’t. 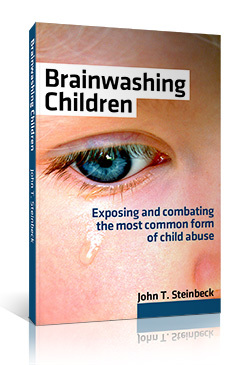 A child in the midst of a brainwashing campaign is learning more than just to despise and think negatively of a parent. He or she is being taught how to hate in general. If a child is taught to hate or have contempt for his or her own parent, they will start paying attention to the negative aspects rather than the positive. The child won’t notice the good traits or actions of the other parent, but focusses instead on anything that can be framed in a bad light. This is fueled and encouraged by the alienating parent because they do not want to hear the child talk about anything positive about the ex. 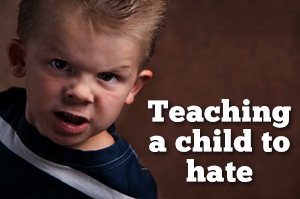 Teaching a child to hate is also teaching them how to be a negative person in general. And this takes years of therapy to eventually overcome, if it can be overcome at all. If a child is taught to despise a parent over perceived personality or parenting “flaws” due to a hostile ex’s brainwashing, this outward hostility doesn’t just stop there. It also moves towards other people the brainwashing parent can’t stand (due mostly to jealousy or fear). The best example is the targeted parent’s extended family. Not only is the targeted parent badmouthed and maligned, but in most cases so are his or her relatives (and thus the child’s, too). Enlisted in the demonization of the ex and the ex’s family also are any other children the brainwasher might have from another marriage or relationship. The lies never get hoisted only onto the ex’s child or children, they get spread like a manure spreader to every other member of the family tree. Since most brainwashing parents are very insecure people, they dish out their feelings of disgust towards a lot of people in their lives. And who picks up on these feelings? The child who has to listen to it (the only children who can rise above the badmouthing are teenagers who who are harder to convince, especially over people they have known their entire life). Over many months and years, a child can’t help but share the brainwashing parent’s beliefs and contempt. It’s hatred that’s been taught to the child, and instilled in their very core (and this isn’t severe child abuse?). You can think of this indoctrination as a hate bootcamp. What happens next, over time, is these children see other people– not just the parent they’ve been taught is bad– through the abusive parent’s eyes. Labels are quickly thrown on people, and if the parent is a narcissist (view this post on narcissistic parents), watch out. Their kids will also absorb many of their toxic traits. Don’t underestimate how closely our actions as parents are watched, and eventually mimicked, by our kids. If you tend to yell, they yell. If you beat them with a belt, they’ll lash out physically at others as well. If you lie a lot, don’t expect them to be amazing little truth tellers. So it doesn’t take much effort for a parent who’s hating an ex-wife or ex-husband to get his or her young child to join in fully on the hatred bandwagon. Kids develop into adults through a combination of their own inherent nature (DNA) and nurture (parenting), but when they’ve been marinating in false feelings of hatred for a decade or more, it’s extremely difficult to reverse even for an experienced therapist. The damage to their psyche is tremendous, and the perpetrators of this abuse are committing an evil act. Teaching a kid to hate is child abuse, and the only remedy for these young and innocent victims is to remove them from that abusive home. Unfortunately, this is a major uphill battle to undertake, as family courts, CPS, and child therapists today simply don’t understand this form of abuse.